UFC, or Ultimate Fighting Championship is an American MMA (Mixed martial arts) promotion and events company founded in 1993. MMA is a competitive sport, whereby two fighters will fight in an Octagonal cage with matted floors, making use of their knowledge and experience of a wide selection of most martial arts. Since its creation, UFC and MMA have become well known, but for the wrong reasons, notorious for their shocking viewing and overall focus on the violence of the sport. 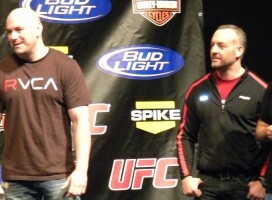 However, in 2001, Dana White and The Fertitta Brothers purchased UFC for $2M. This purchase eventually leads to the rebranding of UFC as a company and MMA as a competitive sport, with White and the Fertitta Brothers placing a stronger focus on the individual athletes and their mixed martial art background and knowledge, rather than the violence of the sport. 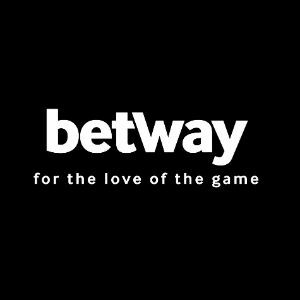 This was a change that is considered to have saved the sport and helped to start the ball rolling in its massive popularity and growth today. This rebranding brought about heavy emphasis on the pre-match interviews and weigh in events, allowing fans to learn more about the individual athletes and bringing a psychological aspect to every fight, rather than solely physical, making each event that much more exciting. This also led to massive changes in the way that the events and company was advertised, and how it aimed to appeal to potential audience members throughout the world. Rather than advertising scenes of violence or ‘action’ to attempt to appeal to an audience members primal desire and love of violence, UFC began to heavily focus on showing off the physique, background and abilities of each athlete fighting at their MMA events. This allowed fans to enjoy UFC/MMA and begin to passionately follow and support a specific fighter or even fighting style, much like in football/soccer where fans choose to follow a team or player. This change in emphasis led to many fighters such as Ken Shamrock and Dan “The Beast” Severn experiencing massive exposure, both in and outside the sport. 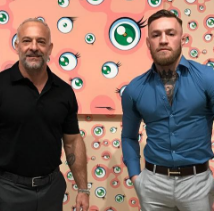 This new focus on the athletes involved within the sport helped to make UFC/MMA a far more relatable sport for many fans than it was prior to the White and Fertitta Brothers purchase. It also allows many fans to become emotionally attached and involved with the sport through this ability to relate to the individual athletes. This is because many fans feel that they ‘know’ and ‘like’ an athlete and feel more involved in the result of the event, rather than passively watching two strangers fight in a ring for half an hour. Two of the biggest athletes in the UFC/MMA scene today are Conor McGregor and Ronda Rousey. Ronda Rousey is an American professional wrestler and mixed martial artist, as well as actress and author, mostly due to her fame from UFC/MMA. Rousey originally became a mega-star when she fought UFC’s first women fight in 2013. She provided truly thrilling viewing for the audience, displaying an excellent background and fantastic range of ability, eventually defeating her opponent Liz Carmouche, bringing her much of the fame she has today. Since this Ronda Rousey fight, women have become extremely popular in UFC/MMA, as well as many other fighting events around the world, giving birth to a range of stars including: Holly Holm, Joanna Jedrzejczyk, Carla Esparza, Rose Namajunas, Claudia Gadelha, Amanda Nunes and Cris Cyborg, though none grew to the level of Ronda Rousey, the original women’s mega-star. The Irish superstar Conor McGregor has been considered one of UFC/MMA’s biggest athletes since 2016/2017. McGregor made his UFC debut in 2008 at the age of 19, where he remained relatively low profile, gaining a few major wins, mixed with some losses. However, in 2011, McGregor began to make waves in the UFC/MMA industry, earning himself a massive winning streak fighting in MMA competitions and fighting his way to becoming the UFC MMA featherweight and two-time lightweight weight class champion, winning one through defeating Jose Aldo in just 13 seconds, a UFC knockout time world record. The athlete is known for his big mouth and outrageous claims, as well as his massive ambition. After winning in both the feather and lightweight classes, he then instantly moved into the Welterweight class, as well as challenging the previously retired big-time boxing champion Floyd Mayweather Jr. Although he lost his debut matches in the boxing and welterweight competitions, he remains a massive success in his personal life and fighting career. This success is believed by many to have helped bring UFC into mainstream media and massive popularity. Conor McGregor has sent shockwaves throughout his hometown of Ireland, and the world, inspiring many themed games or events. One example of these themed games and events can be found on Vegas-Slots.co.uk, an online casino and gambling introduction site, offering a huge variety of online casino and gambling games, including many UFC, MMA, Conor McGregor and Irish themed games. This online casino site is the best place in the world for lovers of UFC, McGregor, or online casino games to experience and fully enjoy an atmosphere like that that many McGregor fans would have experienced throughout his successes. Money Reels allows fans to take their love of UFC and MMA outside of the sport itself and enjoy the best gambling and gaming opportunities surrounding the sport. Overall, UFC has seen massive growth over the past couple of decades, massively thanks to a rebranding, as well as capitalising on the success of many UFC mega-stars like Ronda Rousey and Conor McGregor. Today, UFC is known and enjoyed all over the world by millions, providing some of the most entertaining, tension-building and passionate sports ever seen on modern television.